We are very happy to be displaying some amazing Acrylic paintings on our walls by talented local artist Randy Bone. The art will be showcased for the next month at the cafe, so come down and take them in. Randy grew up in the North Okanagan and resides in Kelowna. He spent his childhood among nature, and lived on a spacious corner lot fitted with gardens trees, and a workshop; his inspirational sources. Randy’s most referenced of these memories were the moments in time when he sat alone in these environments. He was able to witness the silent business of life cycles, learning by observation, experimentation, and contemplation. 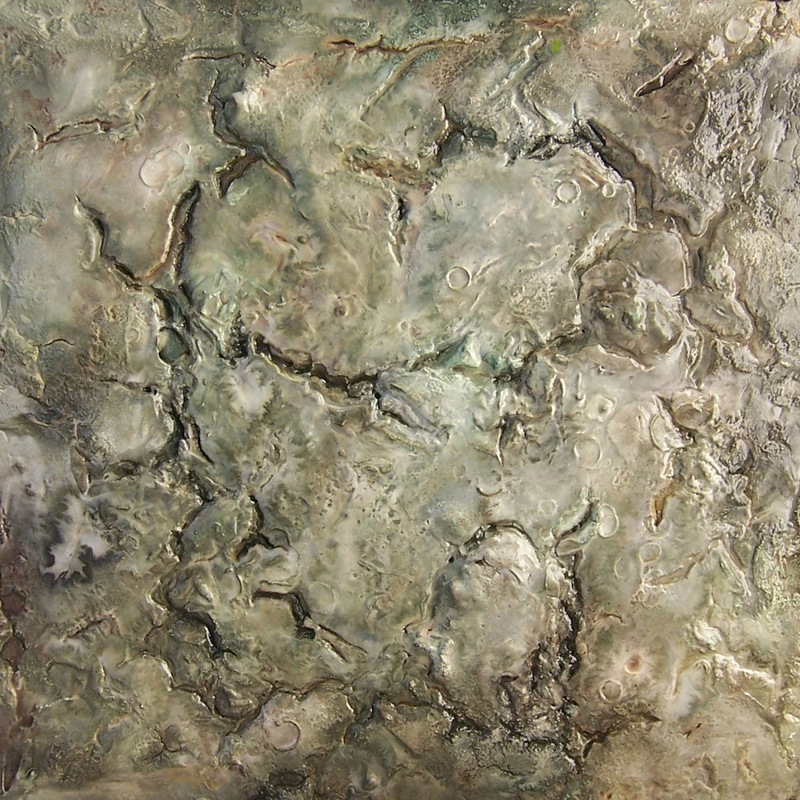 Since early adulthood he has pursued his interests in painting and drawing in a dedicated, self-directed manner. In 2000 he began two years of formal fine arts instruction at OUC, now UBCO in Kelowna. 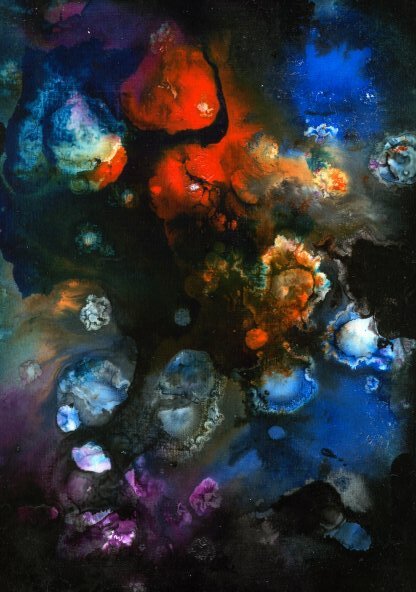 He has produced bodies of work in several mediums—these acrylic paintings were influenced by the gaseous nebulae of deep space and lunar impact craters. They delve into the physics and mark-making potential of both the flow of paint and acrylic medium and the physical impact of objects upon the paint medium itself. The materials were applied at varying distances, allowing randomness, natural shaping, gravity and flow.